Brow Revive SAVED My Eyebrows! A miracle in a tube! Back in January, I wrote a post about a FANTASTIC eyebrow regrowth serum called Brow Revive. This serum is incredible because it undid my faux-pas of waxing your eyebrows way too often and way too thin. This incredible regrowth took about 10 months of solid use of Adonia’s Brow Revive Serum. I never thought they’d look this amazing again! My results are better than I could have ever hoped for, but I do have to warn you that your eyebrows respond as well to the serum as mine did; since they are 100% ORGANIC, I highly recommend that you give them a try!! Let me know what you think about my results and fill me in on what kind of results you get when you start using Brow Revive. 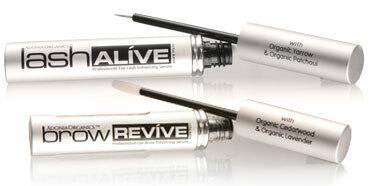 Brow Revive and Lash Alive are two UNBELIEVABLE serums that undo the all-too common faux-pas of waxing your eyebrows way too thin and wearing mascaras that dry out your eyelashes and cause them to fall out. You can see how much thicker and and fuller they are! Whenever, I look at the before shot, I flash back to how often I’d get all sorts of crap in my eyes. Now, the only issue I have is whenever my eyelashes are at the end of their natural growth cycle and start to fall out randomly. I have to warn you that your eyebrows and eyelashes may not respond as well to the serums as mine did, but since they are 100% ORGANIC, I highly recommend that you give them a try!! Let me know what you think about my results and fill me in on what kind of results you get when you start using Brow Revive and Lash Alive.